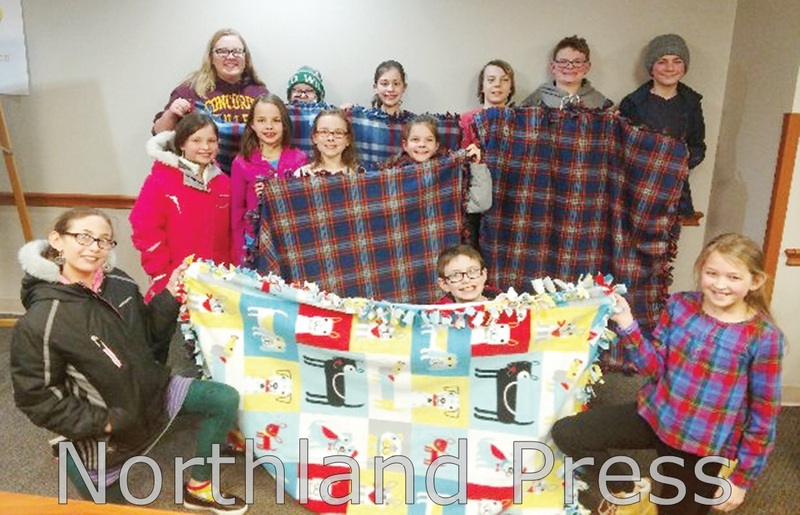 Recently the Brainerd Junior Jaycees worked with the Supportive and Palliative Care team to create blankets for seriously ill patients receiving these services at Essentia Health-St. Joseph’s Medical Center. The Brainerd Junior Jaycees is a youth chapter of young volunteers ages 7-17 working to improve their leadership skills giving back to the community. They hold events for the community and volunteer at events held by the Brainerd Jaycees. Most recently they worked to create letters and art work to send to deployed troops, new recruits, veterans, and first responders through Operation Gratitude, and volunteer at the Brainerd Jaycees Ice Fishing Extravaganza. A gift of comfort is always appreciated at Essentia Health, especially by the patients who receive them and help make the experience a little more comfortable. Supportive and palliative care is a new service at Essentia Health-St. Joseph’s Medical Center that helps patients and their families make decisions about health care and create a plan to meet a patient’s goals and wishes. Supportive and palliative care differs from hospice care, which is offered to people at the end of life. Instead it focuses on people with conditions that limit how they can live and can come at any stage of a serious illness. The service begins when staff meet with a hospitalized patient and family after getting a physician’s referral. The conversation identifies the patient’s goals and engages family members in a discussion. The consultation outlines the patient’s health condition, discusses how to address physical symptoms and asks how everyone is coping. Emotional and spiritual support are offered. Staff develop a care plan and help the family navigate the health care system. “We can help with pain, anxiety, symptom control and side effects of a disease or medications,” Dr. Olson explains. Staff can also connect the family to social workers and community services so a patient can return home or find an appropriate facility. For more information on St. Joseph’s supportive and palliative care, call the team at (218) 828-7568.